All the Best Devine Middle School Sports Coverage! The 7th grade Fillys started their volleyball season against Crystal City and Lytle these past two weeks. 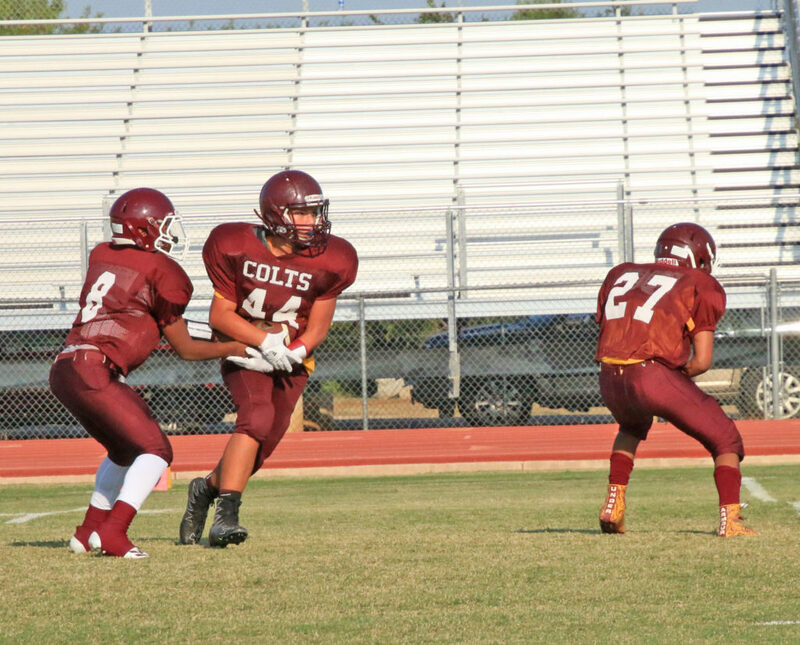 Jaiden Burford hands off to Aiden Zapata. 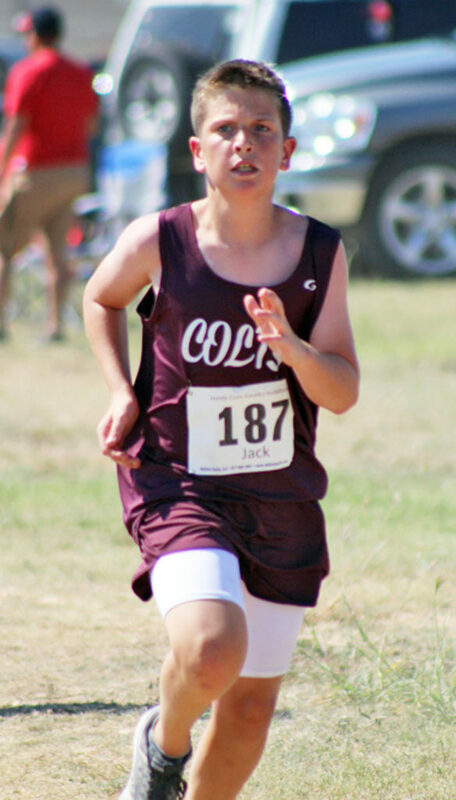 Jack Schneider finished 13th with a time of 14:27. Filly volleyball started up last week on a positive note, both maroon and gold teams won. 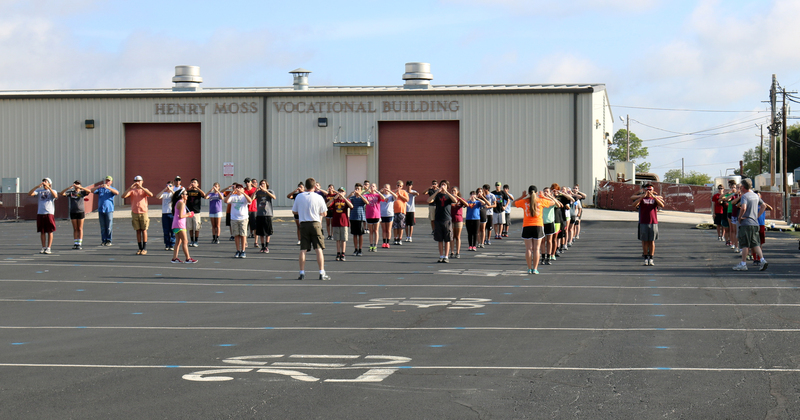 Band Director Jeff Miller teachers incoming freshmen how to march backwards. Click to see more photos! 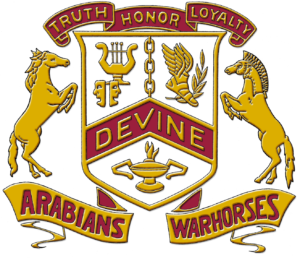 Members of the Devine Athletic Middle School staff have announced plans on dates and times to release clothes to those involved in athletics for the 2017-2018 season. 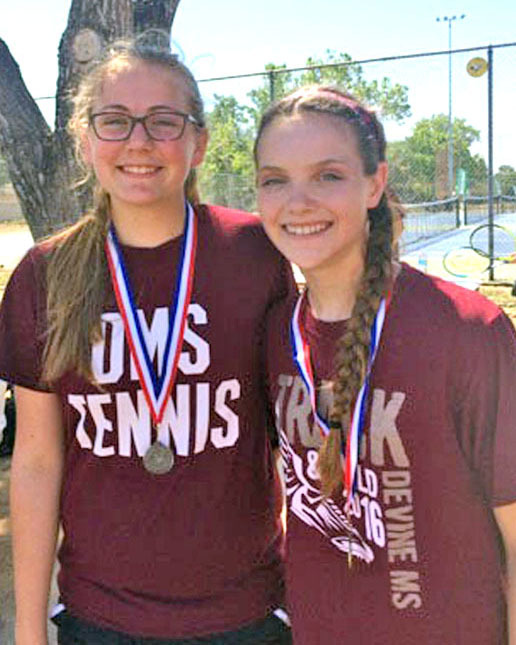 Fillys Brooke Runyan, right and Laurel Spannagel took 1st and 2nd place in 8th grade girls singles. For more photos, check out our online store! 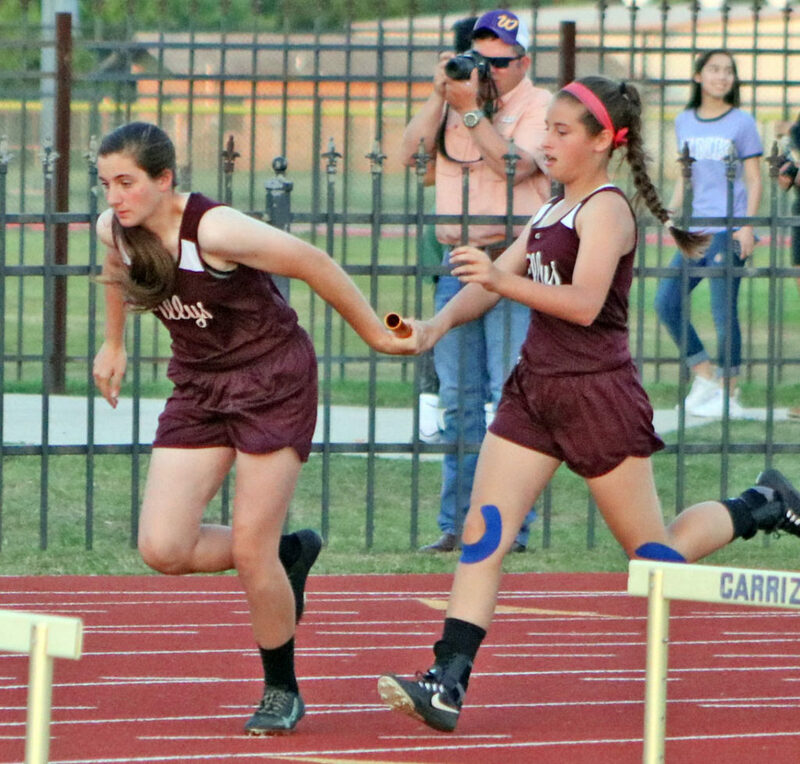 8th grade Filly Sidney Weyel takes the hand-off from Allison Stevens in the 4x200M Relay. The Fillys took gold. See more photos in our online store! 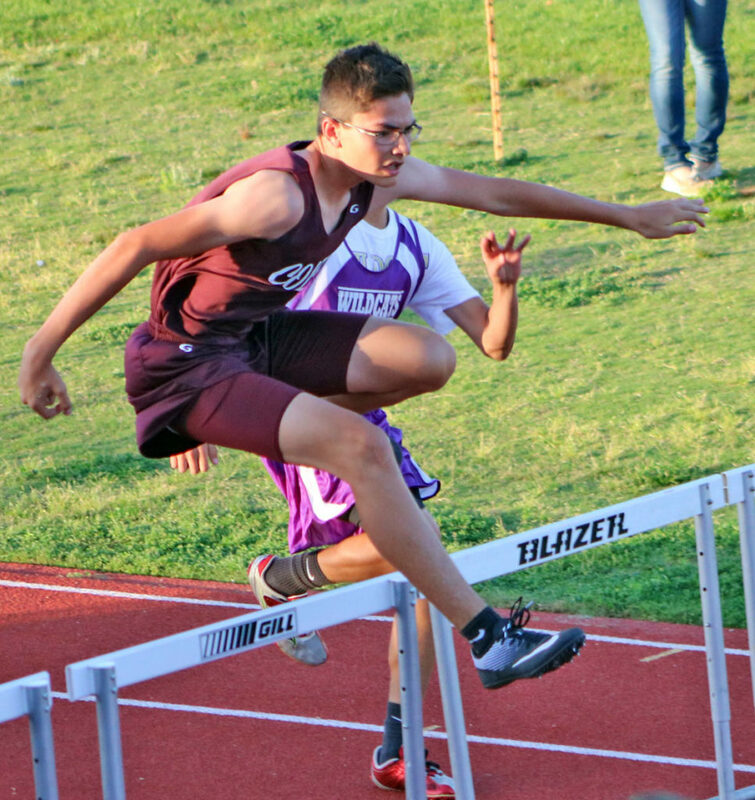 8th grader Christian Gerlach took 6th in the 110M Hurdles. See more photos in our online gallery!